Our Easter Portraits are always a BIG HIT with our clients! 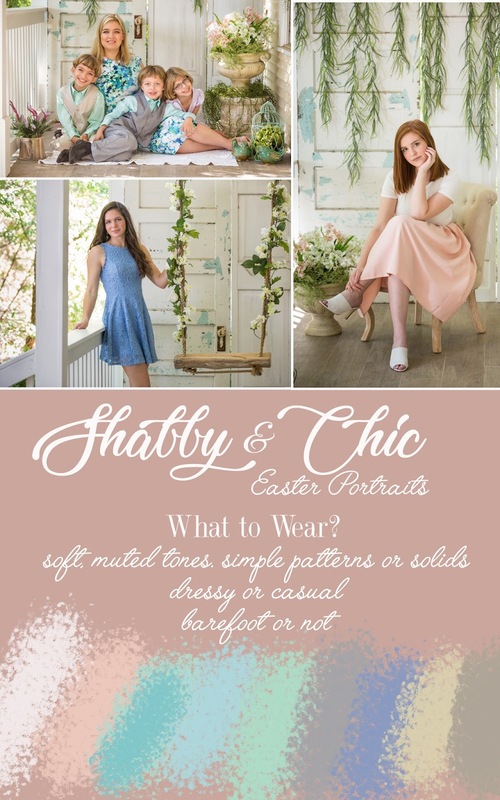 Today I introduce you to EASTER PORTRAITS 2018! Our Outdoor White Porch is the setting, coupled with some cool vintage doors and some fresh spring vines and flowers and you have the perfect backdrop for your little ones dressed in their Easter Sunday outfits. Add in a swing for the older kids, some vintage Easter props, a bird cage and some LIVE BABY CHICKS and you have the makings of a Masterpiece Portrait! 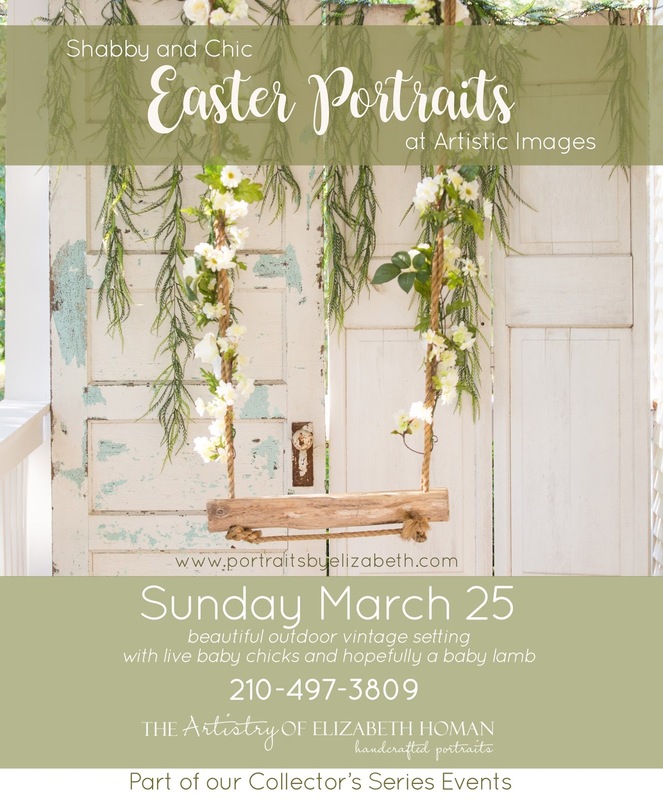 But hold on....if possible, we are getting a LIVE BABY LAMB to go along with a beautiful wooden cross for some precious images that truly share the meaning of Easter through portraiture. This happening on ONE DAY ONLY....SUNDAY, MARCH 25th. 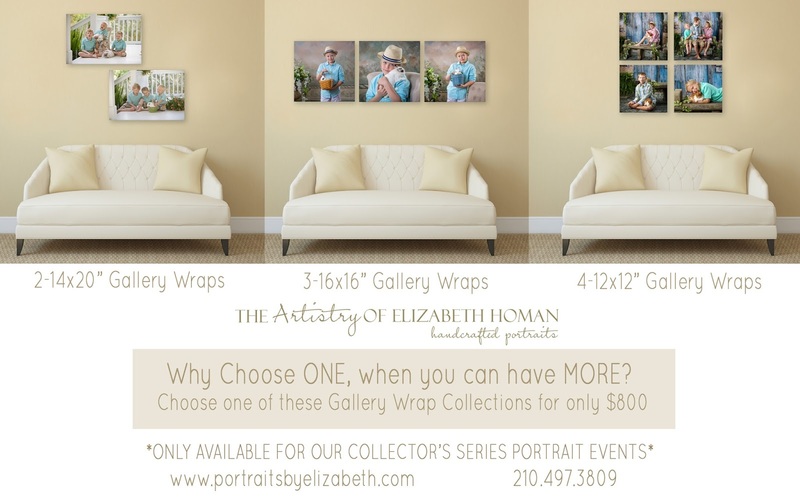 Images will be viewed and ordered Immediately Following Your Session. Check out our new offerings for 2018! 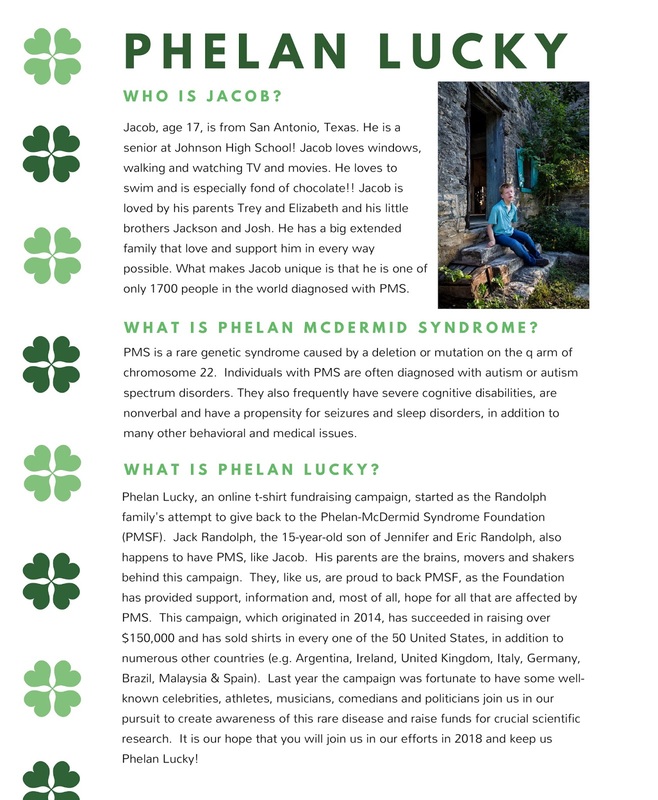 Phelan-Lucky Campaign to support Jacob and friends! Phelan-McDermid Syndrome that effects my son Jacob? Click HERE to purchase as many shirts as you want! Trey and I appreciate your support more than you know! 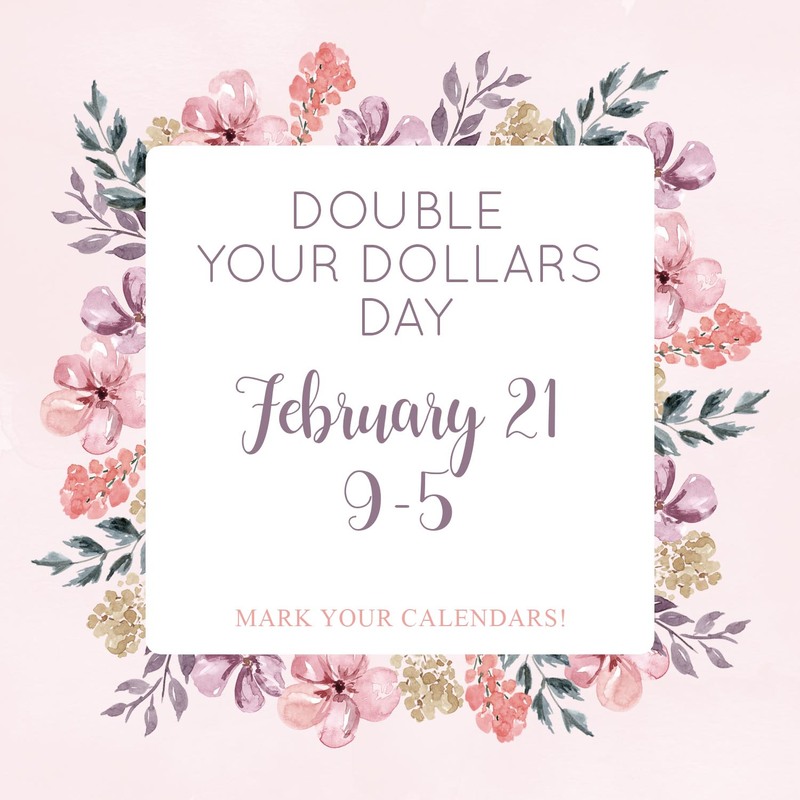 Double Your Dollars Day is FEBRUARY 21st! 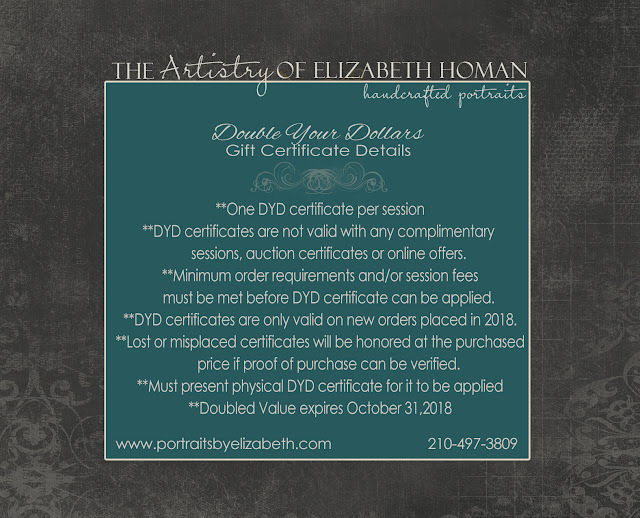 that you can use during 2018.